BSC1718 presents its first tri-annual Featured Member, who is none other than TM Waajidun Dollah! 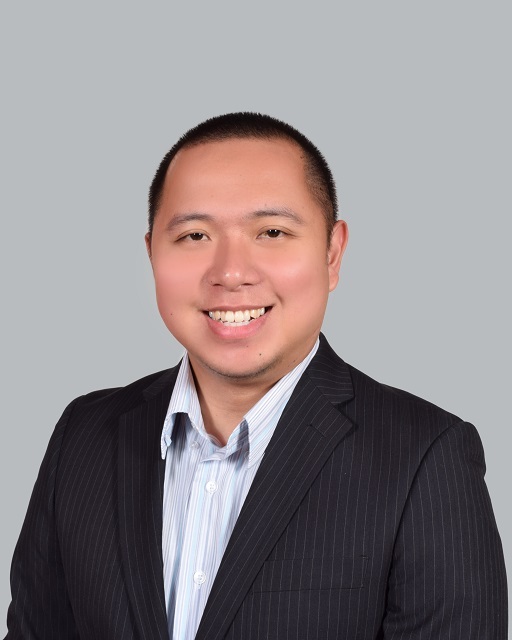 Jidun is currently serving as Vice President Membership of Brunei Speakers' Club. He is an active member of BSC, recently participating in 2 club speech contests last September. 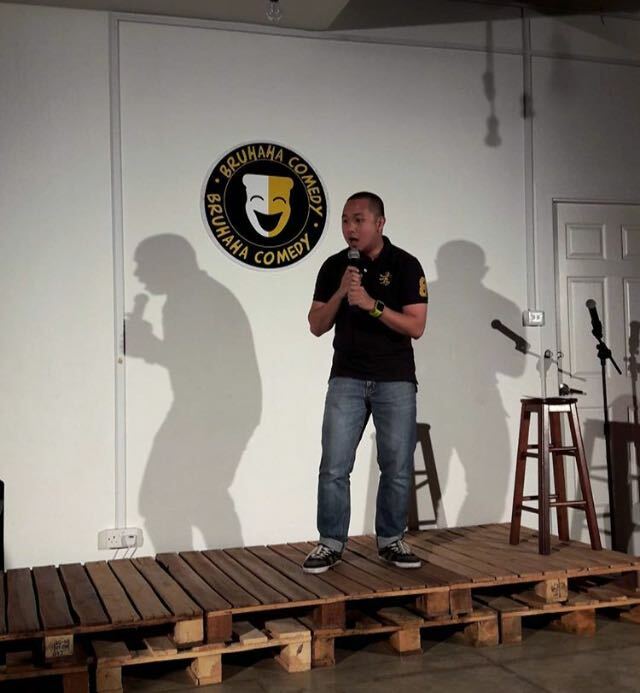 Jidun is not only a health education officer, but also a comedian, and was last seen performing live stand-up comedy with Bruhaha earlier this month. Let's find out what our very likable, fun and comical Jidun has to share. 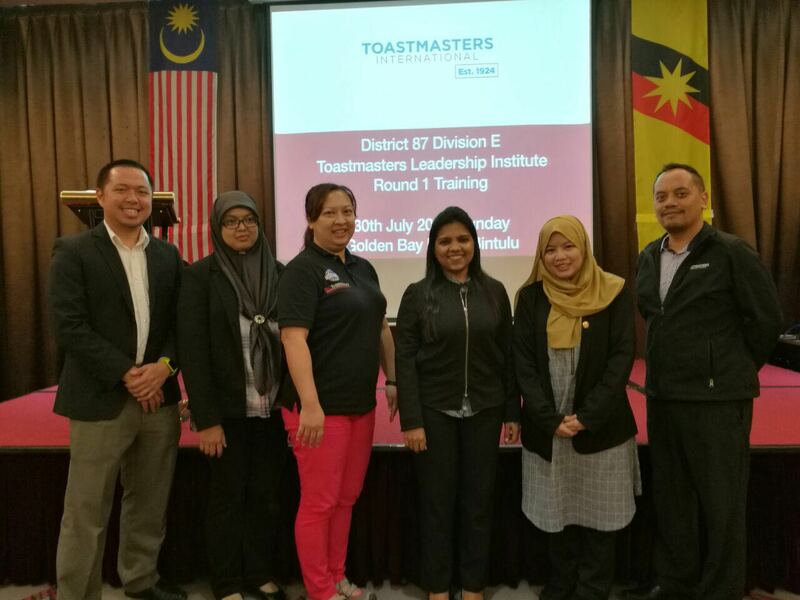 1) Jidun, you organised UBD Toastmasters Club speech contest earlier this year, as well as chaired OTTERS TMC humorous speech contest? Tell me about your experience on these, and what you have learnt. For me, the role of being the Organising Chair is not the same as being the 'Toastmaster of the Evening'. Initially, I looked for team members from within the same club. This was a bit tough since most people have commitments during the contest day. Thankfully, we have other close-knitted Toastmasters club in Brunei, and this helps. Having a checklist on what to do was vital in organising the contest. I learnt that you have to trust your team members that they would do well in their respective roles. As for being the contest chair, I didn’t expect to be one anytime soon. But, I am grateful the Organising Chair, Tieng Chwei Peng, CC, asked me to do it. Although I had a script to refer during the entire contest, the challenge of making relevant remarks remained, especially when entertaining the audience while waiting for the speech result. At the same, I tried my best not to be monotonous during the whole contest. I am grateful for the great experience and thankful for the opportunity. 2) You have conducted many presentations in your field of work. What have you noticed about your presentation skills ever since you joined Toastmasters? Before I joined Toastmasters, my speeches lacked vocal volume projection and body language. 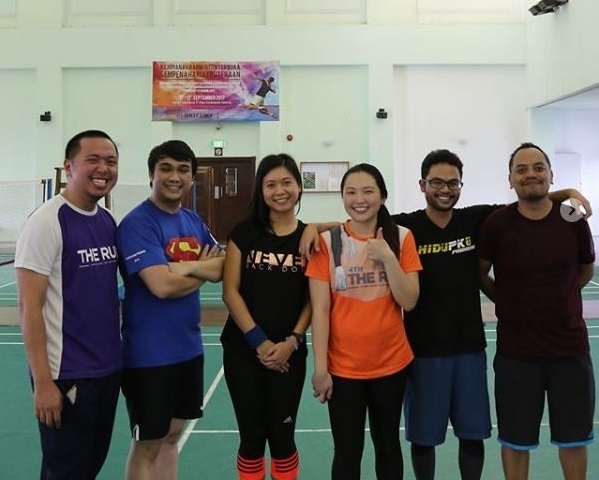 Ever since I became a Brunei Speakers’ Club member, I have been acquiring vocal and body language skills, which have a beneficial impact whenever I gave a health talk to the public. Also, joining Toastmasters reduced my crutch words, such as 'um'. 3) You volunteered to be the Vice President Membership (VPM). Is that true? Why? Yes, I volunteered to be the VPM. A wise man once said to me, “If you love that club or organisation, do contribute your skills into it”. 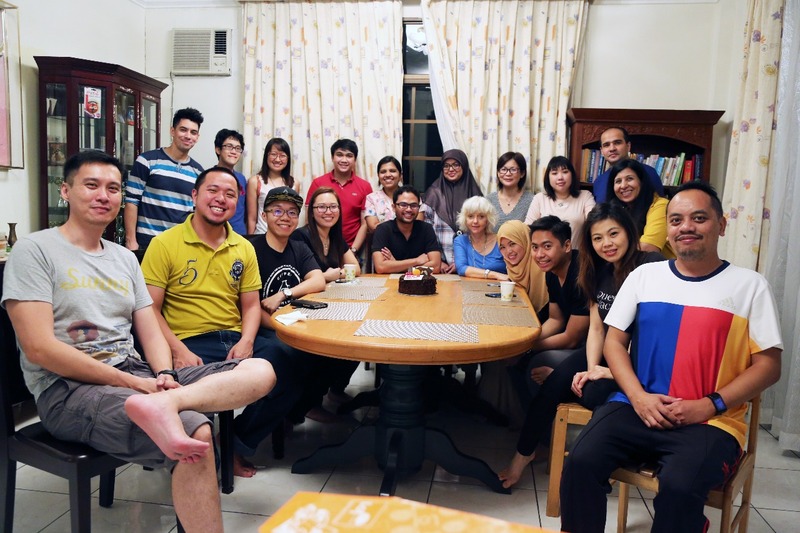 I know I could utilise my skills to help out Bruneians with their communication and leadership skills, and being the VPM of Brunei Speakers’ Club puts me in the active position of reaching out to people in Brunei to help them. 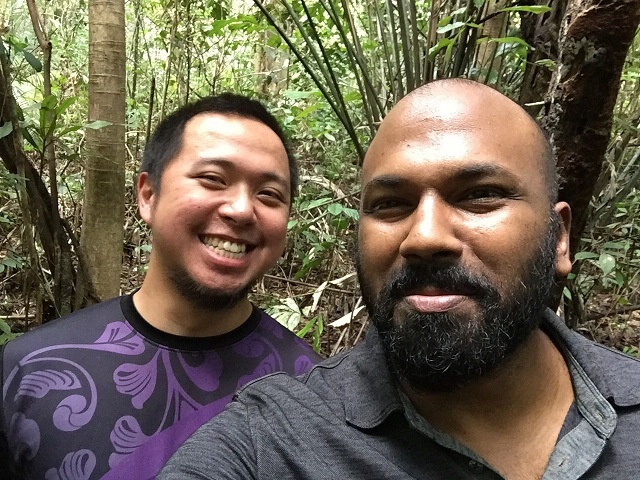 4) I heard that you once went on a half-day trip, trekking in the woods, with the 2014 World Champion of Public Speaking, Dananjaya Hettiarachchi. How was that experience? This happened during the D87 Semi Annual Conference in Brunei last year. It was one of my great moments I ever experienced, for which I am thankful and grateful to the late DTM Shawn Narcis. I learnt that World Champion Dananjaya is just a… normal human being. I imagined a world champion in public speaking would be rather talkactive, but Dananjaya is actually a quiet person. It took him 10 years of practicing and competing for world championship to finally become world champion. He gave me a lot of advice during our trek. One of his advices that remains stuck in my mind was, “If you have passion for a thing, then go and do it full-heartedly without stopping”. This advice reminds me of my own passion in public speaking, hence, my purpose in joining Toastmasters, which is to be a top public speaker. 5) What do you aspire to be in the next few years? Winner of District International Speech Contest. 6) Pathway has been introduced. Will you stick to the current program or choose Pathway? I will be on Pathway once I finished my CC and CL manuals. I can’t wait to finish them! 7) What are three things you love about Toastmasters? The openness to improvement, the positivity and the professionalism.